Activities that led to the development of the B-1B bomber began in 1961, when the Air Force initiated studies under the Subsonic Low Altitude Bomber (SLAB) Program. 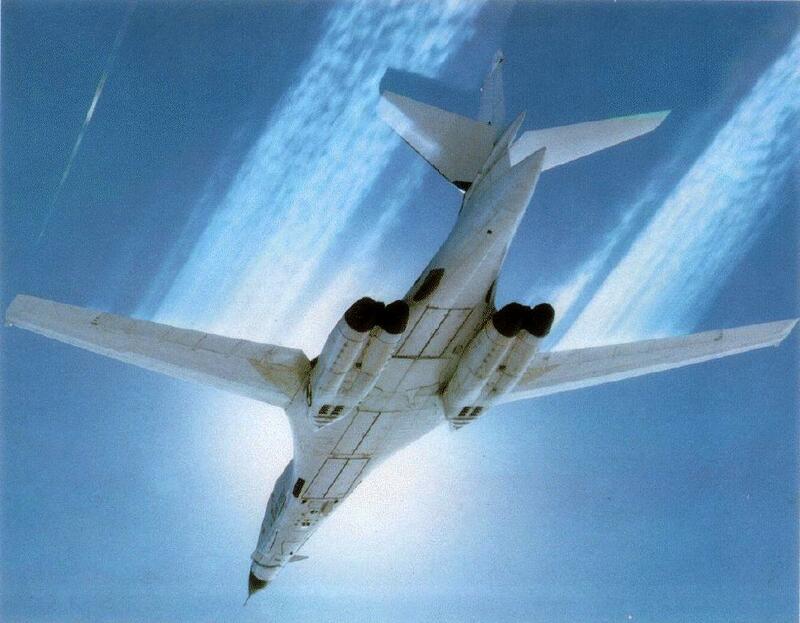 A growing conviction that a Mach 3.0 aircraft cruising at 75 000 feet had little chance of successfully penetrating enemy defenses, resulted in cancellation of the B-70 program in 1961. Although cancellation of the XB-70 program was seen by some as signaling the end of the manned bomber as an important weapon, others continued to feel that a new and more capable bomber was essential for the defense of the United States. With due consideration of the state of existing and possible future technology in such areas as aeronautics, electronics, and weapons, detailed studies of the potential effectiveness of various types of aircraft and mission profiles were made. The mission requirements and name of the bomber program continued to change during the early 1960's. In 1962, research and development studies were initiated on the Low Altitude Manned Penetrating System (LAMPS), redesignated the advanced manned strategic aircraft (AMSA) in 1965. The requirement called for a high-altitude supersonic/low-altitude high subsonic, long-range bomber to replace the B-52 by 1980. The initial study phase was unusually long for two reasons: one was that the Air Force did not want to run into the problems of the B-58 and XB-70, and secondly, and more importantly, Secretary of Defense McNamara preferred ICBMs over bombers. Because he felt the FB-111 would fill the bomber void for the time being, he postponed the B-1 development in 1966 in favor of ICBMs. In testimony before Congress, Secretary of Defense McNamara said, "The strategic missile forces for 1967-71 will provide more force than is required for 'Assured Destruction' . . . a new advanced strategic aircraft does not at this time appear justified." But a change in administration resulted in renewed interest since it was felt that the B-1 aircraft would be in keeping with President Nixon's revised flexible response strategy that required a credible response across a broad range of options short of general nuclear war. The Department issued requests for proposal in November of 1969, and North American Rockwell (now Rockwell International) was selected to build three prototype flight test aircraft and one ground test aircraft. On June 5, 1970, Rockwell International, the conglomerate that had absorbed North American Aviation, was awarded the contract for development of a new manned bomber to be known as the B-1A. An additional flight test aircraft was later procured as a preproduction prototype and funded in the FY 1976 Defense Budget. Requirements for the B-1A called for high-efficiency cruising flight at both subsonic speeds and at a supersonic Mach number of 2.2. In addition, a low-altitude penetration capability at near-sonic speeds was specified. To reduce vulnerability while on the ground, takeoff and landing field lengths short enough to permit operation from air fields other than large, established SAC bases were also called for. Not surprisingly, the configuration proposed by Rockwell incorporated variable-sweep wings; this feature really offered the only viable means for meeting the mission requirements of the aircraft. Maximum and minimum sweepback angles are 67.5° and 15°, and the corresponding aspect ratios are 3.13 and 9.85. Maximum aspect ratio at the low sweep position is slightly higher than that of the B-52; the lower sweepback angle of 15° for the B-1A, as compared with 35° for the B-52, has a favorable effect on the drag due to lift. The outboard location of the wing pivots is in accordance with NASA research. The large-span single-slotted trailing-edge flaps as well as the full-span leading-edge slats are clearly visible in figure 12.20. The powerful leading- and trailing-edge high-lift devices together with the small minimum wing sweepback angle all contribute to the high-lift capability of the aircraft and the corresponding short landing and take-off field lengths. The two rectangular-shaped engine nacelles are located on the bottom of the fixed portion of the wing. Each nacelle contains two General Electric afterburning turbofan engines with bypass ratio of 2.0 and overall compression ratio of 27 [the variable-geometry inlets on the B-1A were replaced by more simple and less costly fixed-geometry inlets on the B-1B]. The landing-gear arrangement is conventional and consists of four-wheel bogies on each of two main-gear struts and a two-wheel nose gear. Other features of interest include the small size of the fuselage, which is carefully area ruled and blends smoothly into the wings. A small fuselage wetted area is an important factor in achieving a high value of the maximum lift-drag ratio. Small vanes located on either side of the nose of the aircraft are part of a special "structural mode control system." In response to signals received from sensors located in the aircraft, the vanes are actuated to aerodynamically attenuate gust-induced normal accelerations in the cockpit. In a similar manner, yawing motions are suppressed by automatic actuation of the lower part of the three-piece rudder. Crew fatigue encountered in the rough air of low-altitude high-speed penetration missions is reduced, and accuracy of weapons delivery is increased by the structural mode control system. Normal crew of the B-1A consists of pilot, copilot, offensive-systems operator, and defensive-systems operator. Contrary to conventional practice in large aircraft, the pilots are provided with fighter-type control sticks instead of the traditional control wheels. The power-actuated control system is tailored to give light control forces and rapid response characteristics. For the first three prototypes, the entire crew compartment was ejected and lowered by parachute in the event that crew escape was necessary. As a means of reducing aircraft costs, the fourth prototype had individual ejection seats; this type of escape equipment was incorporated on all subsequent aircraft. No guns are carried on the B-1, but extensive gear for electronic warfare is provided. Various types of nuclear and conventional weapons can be carried in three internal bomb bays. Provision for mounting external weapons are also included. By careful attention to design, the radar signature of the B-1 is only about 5 percent of that of the B-52; hence the B-1 is much less visible to enemy radar than the earlier aircraft. The first B-1A rolled out on October 26, 1974 and made its maiden flight on December 23, 1974. In 1974, AIL was awarded the development contract for the B-1 ECM system; the most comprehensive ECM program ever initiated. The development schedule was in excess of 4 years and was for a 77 Line Replaceable Unit (LRU) band 4 through 7 system. AIL Subcontractors included Litton, Sedco, Northrop, and Tasker. The third prototype, designed as an avionics testbed, carried the initial AIL AN/ALQ-161. By 1979, four prototypes had been constructed with the fourth vehicle representing a fully operational aircraft complete with electronic systems installed. Production of an original quota of 244 B-1 aircraft was funded in the FY 1978 Defense Budget approved by the Ford Administration. On June 30, 1977, President Carter canceled the production of the B-1 as the priority shifted to the development of the cruise missile. AIL's development was only partially complete when the B-1 Program was terminated. High cost of the aircraft perhaps tempered with some lingering doubts regarding its ability to successfully penetrate enemy defenses were apparently reasons for the cancellation. Cancellation led to new DoD studies designed to evaluate alternative aircraft to serve as cruise missile carriers. These studies yielded a B-1 derivative as a best candidate solution. Congress authorized and appropriated funding in the FY 1981 Defense Budget for a multi-role strategic bomber. The final USAF study led to the selection of the derivative B-1B as the nation's next strategic bomber. The Rockwell design incorporated the FB-lll swing wing which provided both high- and low-altitude performance. High-altitude flight was designed at Mach 2 plus and low altitude at high subsonic speed with supersonic dash capability. The weapons load was to be greater than the B-52 for nuclear bombs, conventional bombs, and SRAMs. The range was designed to be equivalent to the B-52 but with a lower total gross weight and a much shorter takeoff ground roll. This would have permitted much more flexibility in basing since the B-52 is limited by its heavy gross weight and long takeoff ground roll. The avionics systems were to be integrated and under the control of computer processors, a feature considered especially important for changing ECM systems computer programs that, in turn, could provide additional flexibility for continually modifying ECM gear with limited hardware changes. Space capacity was designed in for future modifications, and 244 B-l's were to be built. Four prototypes were developed, the B- 1A models. The B-1A design includes four jet engines with afterburner, with two jet engines located under each wing root. The fuselage and wing are blended together, and the variable geometry allows a 15 wing sweep in the forward position and 67.5 when fully swept. The B-1A employs a sensor-controlled automatic system, using movable foreplane vanes to combat low level turbulence. The three bomb bays are capable of carrying eight SRAMs or 25,000 pounds of nuclear or conventional bombs each. In addition, there are four external hard points each capable of carrying two SRAMs or 10,000 pounds of bombs. The B-1A has a crew of four: pilot, copilot, offensive systems operator, and defensive systems operator. Originally, the crew was in an escape module, but ejection seats were substituted to save cost and weight. The B-1A has a length of just over 150 feet, a wing span of 136 feet, 8.5 inches in a fully spread configuration and 78 feet, 2 inches in a swept mode, with a height of 33 1/4 feet, 7 inches. The maximum gross takeoff weight is 395,000 pounds. The engines have a self-start capability and, therefore, do not require cartridge start. Alert reaction time for safe escape was to be a significant improvement over its predecessors. Terrain following radar would also enable the B-1A to fly at lower altitudes than the B-52 which relied upon a terrain avoidance system. Although President Carter canceled production of the B-1 in 1977, the flight testing continued through 1981 with four prototypes. Cited by the President as a principal reason for his decision was the high unit cost which had grown from original estimates of $30 million to $100 million per aircraft. Consequently, the President elected to produce the ALCM which was deemed less expensive. Also, the ALCM, with an RCS smaller by an order of magnitude, was considered less vulnerable to SAM defenses than the B-1.